Caroline Foran is not here to “cure” your anxiety. When crippling panic attacks upended her job, her health, and her life, she tried everything—from Cognitive Behavioral Therapy to acupuncture, and yoga to medication. She found that there’s no such thing as a stress-free life . . . but, armed with the right tool kit, she could live with anxiety, and not spend her days running away from it. How to break down the negativity bias. 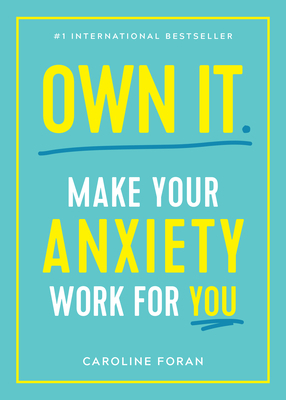 Drawing on her lived experience, plus insights from mental-health professionals, Caroline will help you ditch your fear and anxiety—and own it! Caroline Foran is a freelance lifestyle journalist and cofounder of the digital publishing and interior design company, GAFFInteriors.ie. Prior to working in media, she obtained a degree in communications and a masters in film and TV from Dublin City University. She has published two books in Ireland: Owning It and The Confidence Kit.